DC Voltage: -300 to 300mV, -40 to 40V. DC Current: -12 to 12mA, -50 to 100mA. Resistance: 0 to 740Ω, 0 to 5000 Ω.
Thermocouple (TC): -300 to 300mV. 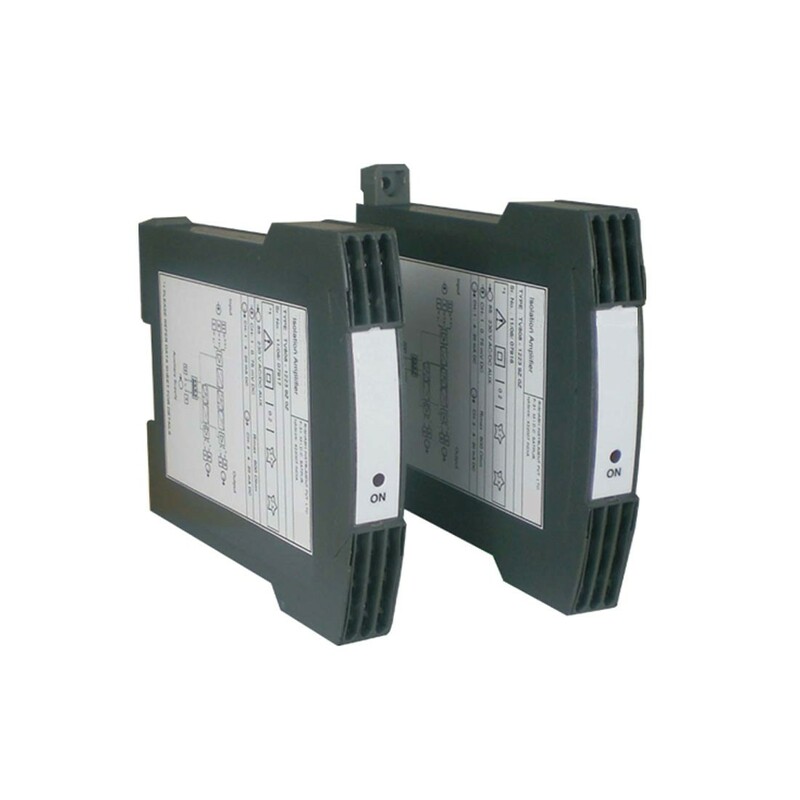 Power Supply: 24 to 60VDC/VAC or 85 to 230VDC/VAC. Converts a DC current, voltage, or a signal for a thermocouple, resistance thermometer, remote sensor, or potentiometer to a linear analog output signal. Measuring inputs are broken down into ranges by using a series of terminal configurations. Programming is handled through the PC with the configuration software, optional cable, and eight pole DIP switch.